FLECONN, as a wire harness manufacturer and supplier, can custom wiring harness assembly for global customers. These wire harnesses may be respectively used in the fields of LED light bar, radio, car stereo, battery, machine / equipment internal power and signal cable cable, motorcycle, automotive etc. Automobile wiring harness is the network main body of the automobile circuits. No wiring harness, there is also no automobile circuit. Wire Harness refers to the subassembly making up connection circuits by banding these wire harnesses maden from crimping pieces by the contact terminal (connector) punched by material copper and wire & cable after crimping, then plastic Pressing insulator or adding metal shell on outside. 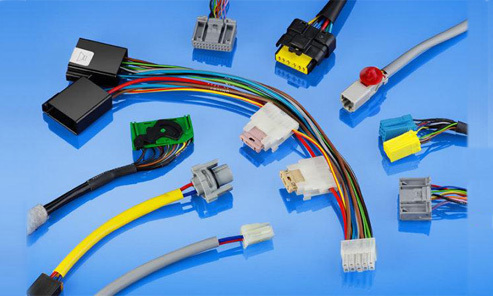 Wiring harness industry chain includes wire and cable, connectors, processing equipment, wiring harness manufacturing and application industry of the downstream. Wire harness has a very wide range of application and can be used in cars, household appliances, computer and communication equipment, electronic instrument and meter etc. Car body's harness connects the whole body, general shape presents H shape. 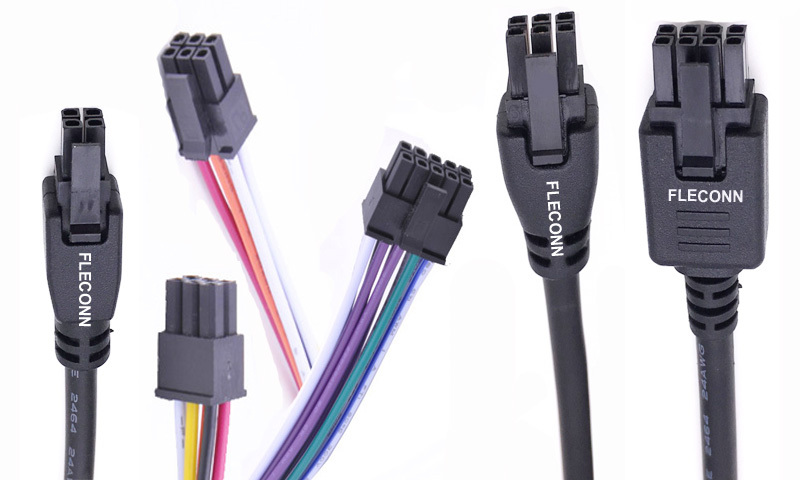 FLECONN, as an overmolded cable assemblies and molded wire harness manufacturer, can custom 245132 & 43025 series molex microfit 3.0 cable with micro-fit 3.0 connector. There are 2 4 6 8 10 12 14 16 18 20 22 24 pin Molex Micro-Fit 3.0 Cable receptacle housing such as manufacturer part number 43025-0200, 43025-0400, 43025-0600, 43025-0800, 43025-1000, 43025-1200, 43025-1400, 43025-1600, 43025-1800, 43025-2000, 43025-2200, 43025-2400 available. Moreover, we can still inject these molex micro fit 3.0 cable by overmolding in order that they have a good waterproof, dustproof, oil-resistance performance in the harsh factory environment. FLECONN can custom made molex's micro-fit™ overmolded cable assemblies available in various circuits and cable lengths. 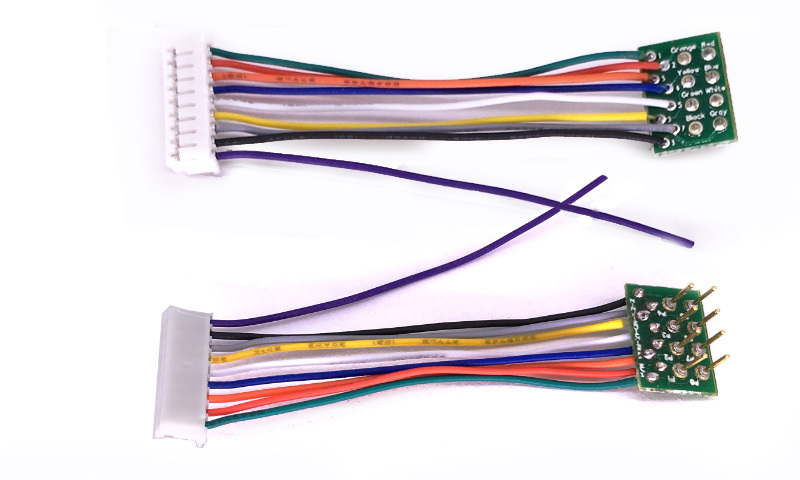 The customized Molex's Micro-Fit Overmolded Cable Assembly may have single-ended and double-ended available, internal and external molding assemblies with strain relief are available in 2-, 4-, 6-, 8-, 10-, 12-, and 14-circuit sizes and cable lengths from 500 mm, 1m, 2m to 5 m for a rugged signal connection. The Microfit Cable Assemblies are capable of carrying 5.0 A of current, making them ideal for many signal and power applications. The cable assemblies also feature locking tang on the terminals to secure them in housings and the overmolded strain relief reduces mechanical stress on wires and terminals. They are set in fully polarized housings to prohibit accidental mismating and feature positive latching on housings to prevent accidental disconnects. FLECONN can custom 1.0 mm pitch wire to wire, wire to board connector cable harness. 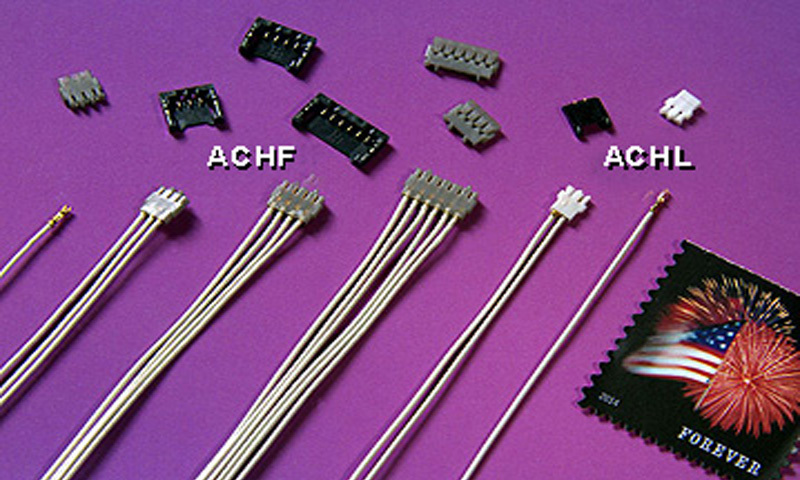 The connector manufacturer may be Molex, JST, TE, AMP, Hirose, Delphi, Yazaki, JAE, Amphenol etc. 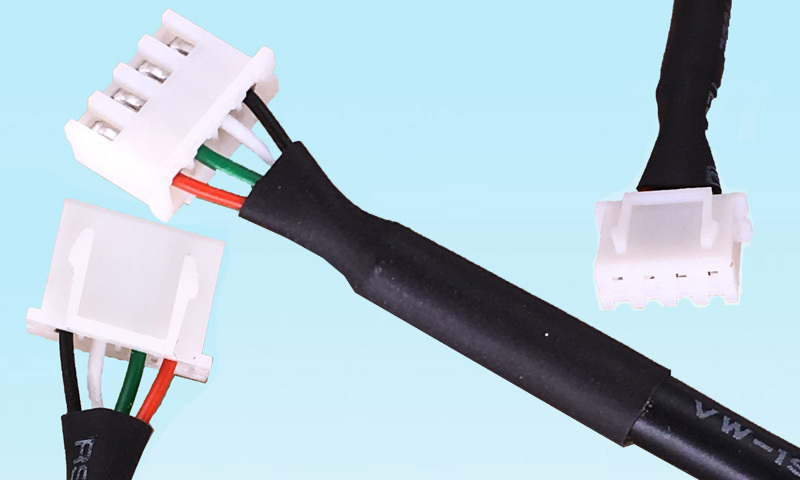 FLECONN can produce 1.2mm pitch wire to wire, 1.2 mm pitch wire to board connector cable harness assemblies for device manufacturers. 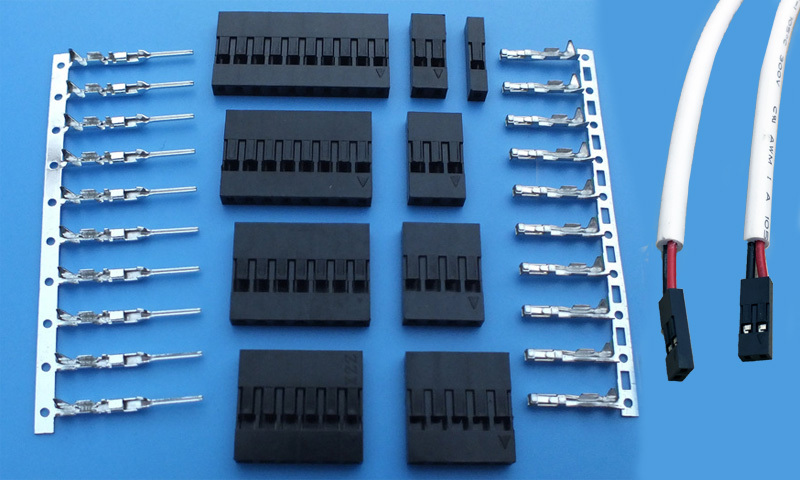 The connector will be chosen from the manufacturers of Molex, JST, TE, AMP, Hirose, Delphi, Yazaki, JAE, Amphenol etc. We are specialized in Electrical and Electronic Supplies. We develop, manufacture and distribute innovative PH 1.25mm housing terminal wiring harnesses, cable assemblies. 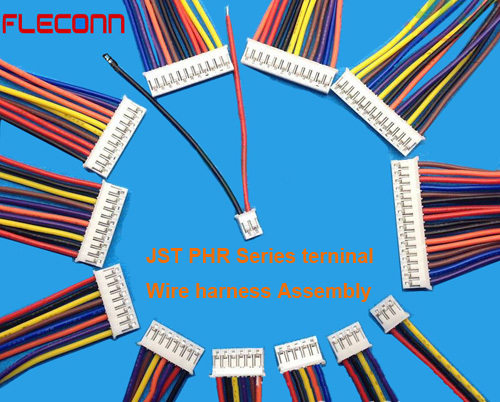 We may choose the original connectors from the first class brand manufacturers such as Molex, JST, TE, AMP, Hirose, JAE etc to assemble wire harness by customer requirements. Along with our sophisticated manufacturing process, the product owns excellent quality. At the same time, in order to enhance our customer's competitiveness, we also provide equivalent, compatible and replaceable connectors and terminations for wiring harness assembling, they have competitive prices and punctual delivery. FLECONN can assemble 1.5 mm pitch wire to wire, wire to board connector cable harness. 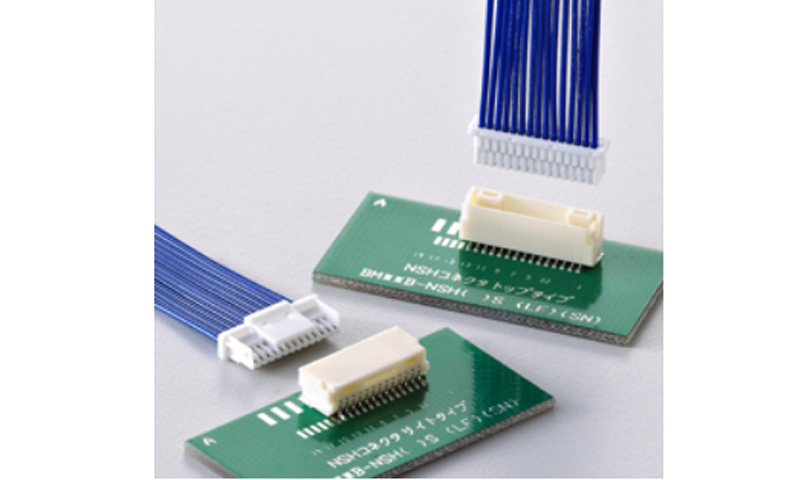 The connector may be chosen from the manufacturers of Molex, JST, TE, AMP, Hirose, Delphi, Yazaki, JAE, Amphenol etc. JST 2.0 mm pitch PH series wire to board connector and wire assemblies can be used for the connectivity fields of the speakers, monitors, household appliances, copiers, fax machines, medical equipment, computers, electronic toys, batteries, circuit boards and other products. The housings of this PHR series have PHR-2 PHR-3 PHR-4 PHR-5 PHR-6 PHR-7 PHR-8 PHR-9 PHR-10 PHR-11 PHR-12 PHR-13 PHR-14 PHR-15 PHR-16. 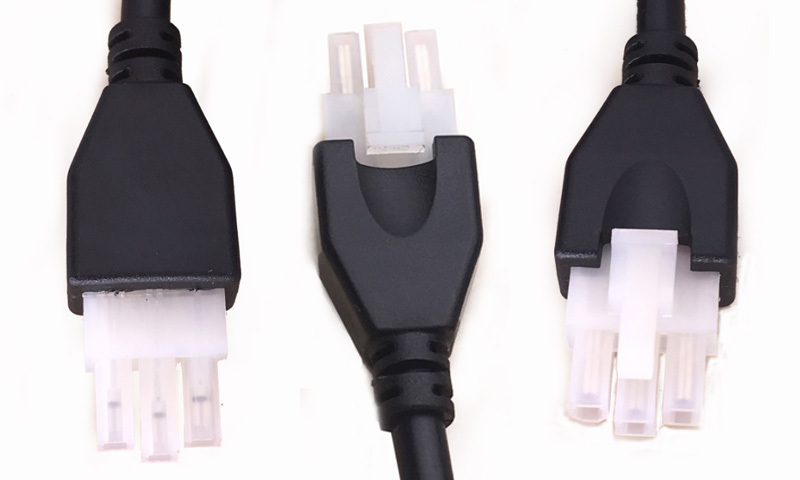 FLECONN can custom made 2.5mm pitch wire to wire, wire to board connector cable harness assembly for device manufacturers. 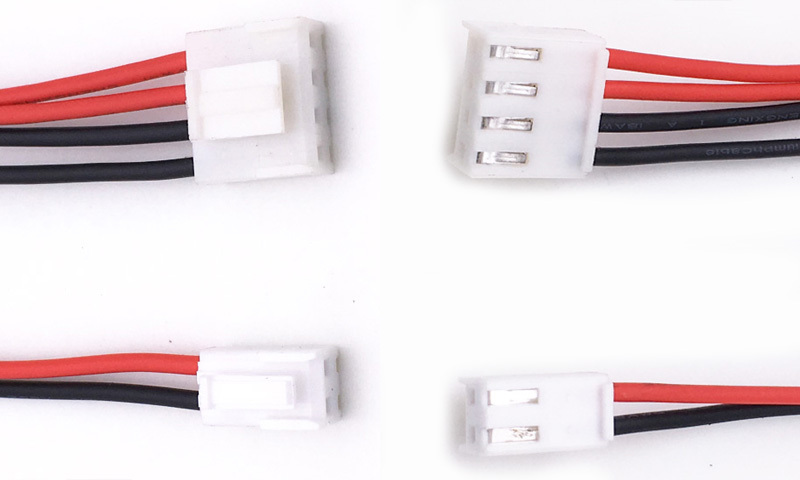 The connector will be chosen from the manufacturers of Molex, JST, TE, AMP, Hirose, Delphi, Yazaki, JAE, Amphenol etc. 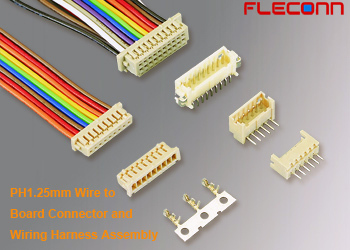 FLECONN can manufacture different 2.54mm pitch wire harness with various connector from different connector manufacturers such as molex, JST, Hirose, Dupont etc. brands'. FLECONN can customize 3.96mm pitch wire to wire, wire to board connector cable harness assembly for the manufacturers of all industries. The connector will be chosen from the manufacturers of Molex, JST, TE, AMP, Hirose, Delphi, Yazaki, JAE, Amphenol etc. FLECONN can custom 4.2mm Pitch molex Mini-Fit Jr. 5557 Series overmolded cable assemblies and wire harnesses for machinery and equipment power transimission. Mini-Fit Jr. Receptacle Housing are divided into single row and double row, 94V-2 and UL 94V-0. The single row receptacle housings have 2 3 4 5 6 pin / circuits / posisions; The double row receptacle housing have 2 4 6 8 10 12 14 16 18 20 22 24 pin / circuits / posisions. The part numbers of single row and 94V-2 are respecitvely 0039014020 (39-01-4020), 0039014030 (39-01-4030), 0039014040 (39-01-4040), 0039014050 (39-01-4050), 0039014060 (39-01-4060); The part numbers of single row and 94V-0 are respecitvely 0039014021 (39-01-4021), 0039014031 (39-01-4031), 0039014041 (39-01-4041), 0039014050 (39-01-4051), 0039014061 (39-01-4061). The part numbers of Mini-Fit Jr. Receptacle Housing, Dual Row and UL 94V-2 have 0039012020 (39-01-2020), 0039012040 (39-01-2040), 0039012060 (39-01-2060), 0039012080 (39-01-2080), 0039012100 (39-01-2100), 0039012100 (39-01-2120), 0039012140 (39-01-2140), 0039012160 (39-01-2160), 0039012180 (39-01-2180), 0039012200 (39-01-2200); The part numbers of Mini-Fit Jr. Receptacle Housing, Dual Row and UL 94V-0 have 0039012025 (39-01-2025), 0039012045 (39-01-2045), 0039012065 (39-01-2065), 0039012085 (39-01-2085), 0039012105 (39-01-2105), 0039012105 (39-01-2125), 0039012145 (39-01-2145), 0039012165 (39-01-2165), 0039012185 (39-01-2185), 0039012205 (39-01-2205) etc.